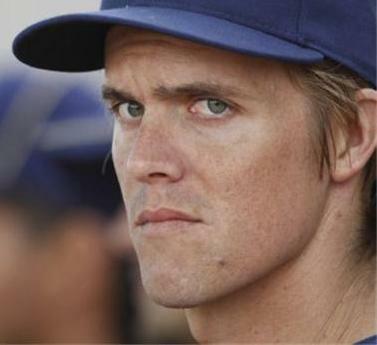 Newly-acquired Zack Greinke makes his Milwaukee Brewers home debut on Monday, May 11th at Miller Park vs. the San Diego Padres. Ticket King Milwaukee has Brewers tickets available for Greinke's home debut. Miller Park will be handing out special rally towels honoring Greinke on that day. 100 lucky people will also be able to get Greinke t-shirts. Greinke injured himself playing basektball during spring training and had to sit out for a bit, but he is back and ready to rock! Check him out on Monday, May 9th (or at least go for the rally towel).